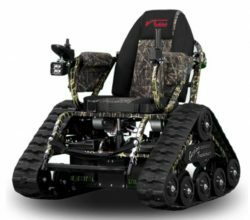 A tracked wheelchair and enclosed trailer recently stolen from a disabled veteran in Missoula were recovered Sunday morning. Missoula County Sheriff’s Office recovered the stolen items and are in the process of returning them to their owners, according to a post on MCSO’s official social media accounts. The release did not specify what kind of condition the chair and trailer were in when they were recovered. Tracked wheelchairs are used by people with disabilities to access hunting and fishing opportunities in rough terrain.